VisitBritain and VisitEngland are to be charged with getting more overseas visitors to travel beyond London to maintain the UK’s tourism boom, the first Triennial Review of the two public-bodies has recommended. Triennial Reviews are a way of reviewing the necessity of non-departmental public bodies, as well as reviewing their functions, performance, control and governance arrangements. The Review has recommended that VisitBritain should focus mainly on international marketing, while VisitEngland should focus mainly on supporting the development of high quality tourism products in England. To do this, VisitEngland should in future manage a challenge fund for destinations across England to bid for investment to develop tourism offers. These experiences would be marketed domestically by VisitEngland and internationally by VisitBritain. The Review also recommended that VisitBritain should lead on all international marketing (GREAT campaign), pulling in overseas visits, through working in consultation with the national tourist boards. 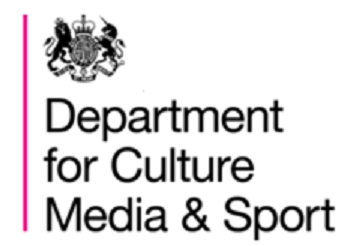 Interestingly in its comparison of alternative delivery models, the Review considered (but dismissed) the idea that VisitBritain and VisitEngland could be merged with organisations including UKTI, the British Council, Arts Council of England, and the Heritage Lottery Fund. This is the first Triennial review of VisitBritain and Visit England who are the trading names of the British Tourist Authority.